Continuing my new blog feature, sharing quotes from my (unillustrated) books, paired with pictures. 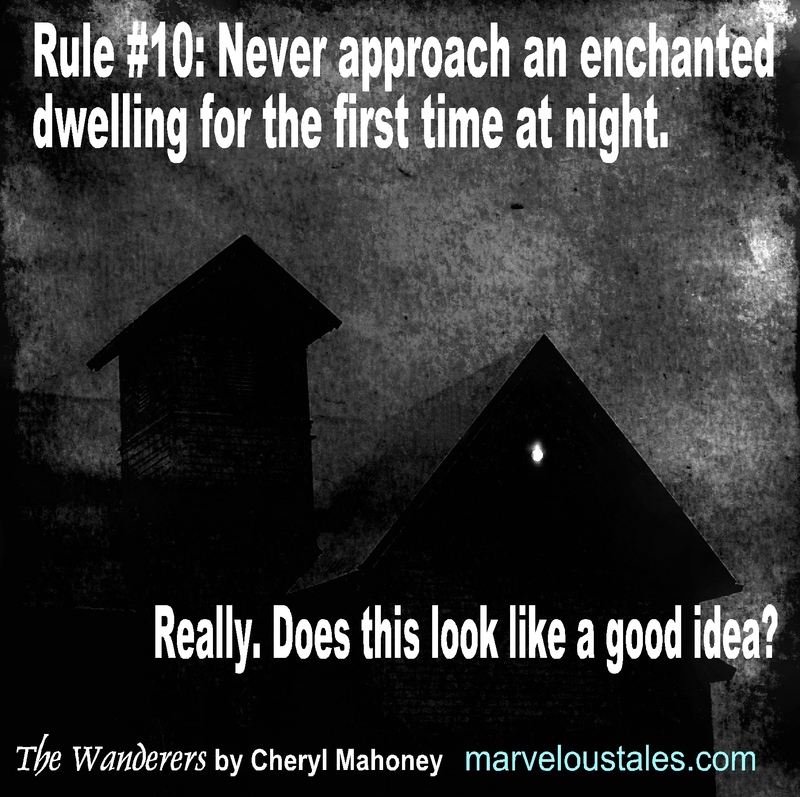 Today it’s another quote from The Wanderers, another of my wandering adventurer’s rules for life–one which I think many heroes of fantasy novels would do well to follow! No. Not when the enchanted dwelling looks like that! And considering my *great love* for horror stories, I can’t say I’d mind much…though I am sure there are others who would feel they’d lose wonderful stories!